We are extremely happy to present to you a collection of wonderful external memory card deals from one of the world’s most trusted provider of portable and stable memory. SanDisk is now offering a collection of cards and associated adapters with some huge discounts applied. If you have ever heard of external memory products, or have done any research into the types of memory cards available, then the chances are that you have come across SanDisk during that investigation. The company, along with others, is pretty much synonymous with external memory meaning that you can be sure that you are getting a great and highly reliable product. That could be for storing photographs or music, or just slotting into your drone to record real-time footage. 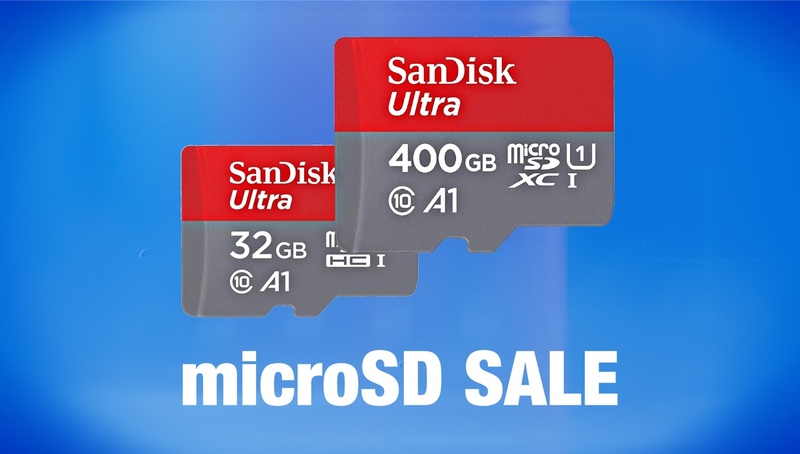 Those who are in need of some additional storage, whether that be for an Android device, a digital camera, or even a 4K drone which flies high above the landscape, then you should definitely be checking out the insane prices on the SanDisk cards below. There are storage capacities ranging from 32GB all the way up to a whopping 400GB, meaning that there should be a memory card in this selection to suit most needs and all budgets. If you do see a memory card that suits your requirements and, of course, your budget, then you really need to act as quick as possible and go through the purchase process immediately. Often, these deals are limited time only and come with no forewarning from the manufacturer before they pull the plug and ramp the price back up to its highest point. We would hate for you to be interested but miss the reduced purchase price. Act now or forever hold your peace and forever pay top price for your memory.